During his first trip to New York City, Zach Pennix ’18 was awestruck. The city had so much to offer—culture, entertainment, great food—that the Lynchburg native struggled to take it all in during his first trip there. 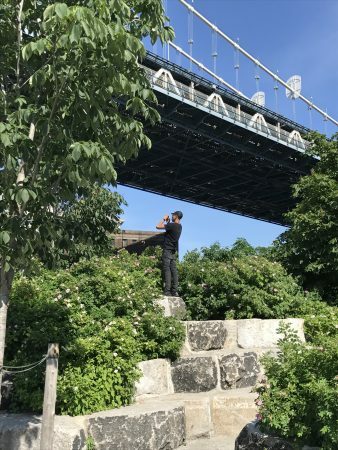 Pennix spent his short stay in the Big Apple working on his Summer Research project. He is partnering with Visiting Professor of American Culture Noel Wolfe to study anti-drug activism in New York City from 1965-1985. They are also looking at why more radical activists, particularly the Young Lords, were not part of a larger community-driven solution to the crack cocaine crisis in the Bronx. The Young Lords was a Puerto Rican nationalist group based in Spanish Harlem during the 1960s and early 1970s. One of its most notable exploits was taking over the Lincoln Hospital in 1970, and successfully negotiating the installation of detox centers to help recovering drug addicts in the South Bronx community, among efforts to improve other conditions. 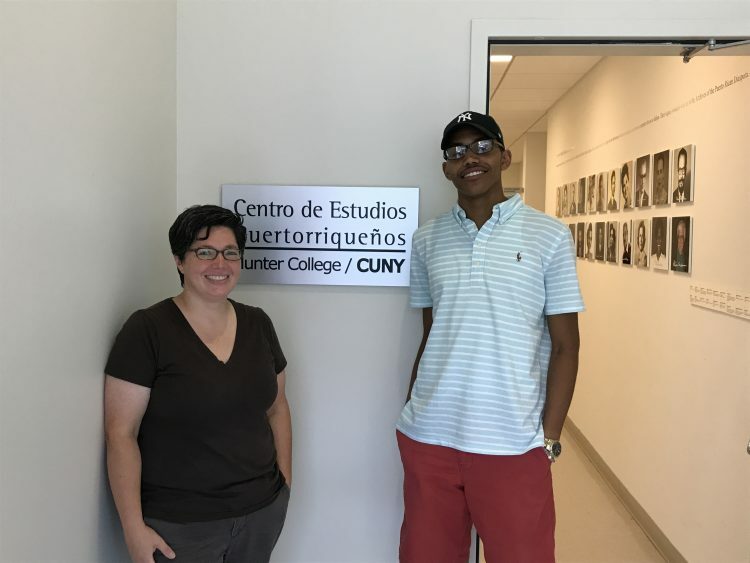 During their trip to New York, Pennix and Wolfe conducted research at the City University of New York’s Centro de Estudios Puertorriquenos (Center for Puerto Rican Studies). There, they reviewed copies of the Young Lords’ newspaper, Palante, as well as other documents written by members. In addition, they toured much of the city including Harlem and Brooklyn, where Wolfe lived for several years. They also attended lectures and visited museums, including the new Black Power exhibit at the Schomburg Center for Research in Black Culture. Back at Randolph, Pennix and Wolfe are compiling their research about anti-drug activism and the national criminal justice system. A philosophy major, Pennix has enjoyed the deep, thoughtful discussions with Wolfe and believes the information he has learned will be very helpful for his upcoming Senior Seminar research. After taking several of her classes and getting to know her even better this summer, Pennix has also found a friend and mentor in Wolfe. Pennix will present his research at Randolph’s Summer Research Symposium July 7, and he and Wolfe will also share their findings at the Alcohol and Drug History Society’s annual meeting in Washington, D.C. in January 2018.